Theoretically you can raise or lower the tax rate anytime, however, once you damage the revenue base by slowing growth, that growth can never be recovered. An incremental tax cut that increases growth will always pay for itself. It may take a long time, but eventually revenue from the lower tax rate will surpass the higher tax rate with a slower growing base. For example, an economy growing at 1% will double in 70 years. An economy growing at 3.5% will double in 20 years, and at 40 years it will be 4 times the size. At the 70 year mark, the faster growing economy will be close to 3 times the size of the slower growth economy. Obviously there are limits to how much tax rates can be cut, since a 0% tax rate can never catch up. Most Laffer Curve deniers want to examine revenues the year after a tax cut. 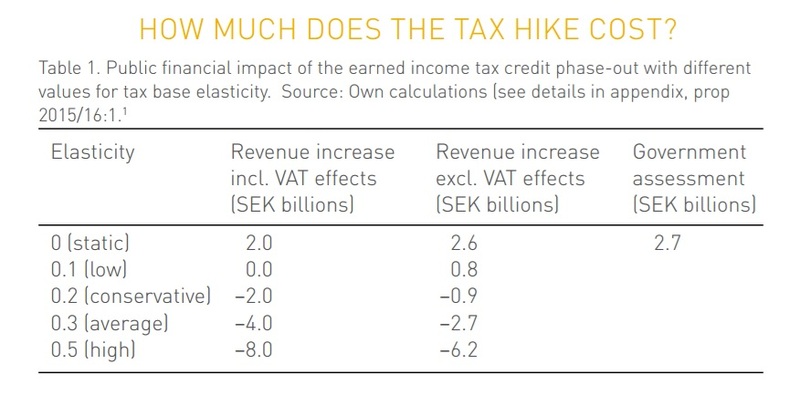 However, tax induced growth payoffs come primarily from long lead time investments. In the first year taxable corporate income is reduced by capital equipment expenses, while increases in salary based taxes are offset by lower profits, since the salaries of new hires are not yet supported by sales; the second year profits lag or are neutral; but after the third year those tax induced investments start to pay off big time and tax revenues surge on the expanding profit base.